The past year has been a historic one for The Bahamas’ thriving commercial shipping industry. The launch of Arawak Port Development Ltd (APD) and the creation of a new $70-million Nassau Container Port is set to transform the sector and a large swathe of the capital’s downtown wharfs. Bay Street has traditionally been the hub of Nassau’s shipping interests, with a large volume of cargo passing through the commercial docks and along the capital city’s main thoroughfare. With the growth of the industry over the past decade, however, it has become clear that the downtown port has struggled to accommodate the increased business. Concerns over noise, pollution, congestion and the inability of the harbour to handle larger vessels, prompted the government to examine the possibility of relocating commercial shipping to a more appropriate space. With this in mind, the APD was established in 2009 to create the Nassau Container Port and Gladstone Road Freight Terminal. By mid 2010, the company had announced that it would move all commercial shipping operations to a state-of-the-art port facility based at Arawak Cay, just outside downtown Nassau. Ground was broken on the development in March 2011 and, three months later, work got underway at the nearby 15-acre freight terminal site. The entire project is expected to be completed by the end of this year. When finished, the container port will comprise 50,000 sq ft of warehouse space and administrative offices across a 56-acre site, while the Gladstone Road Freight Terminal will house a new customs facility. More than 60 per cent of all containers and 80 per cent of all cargo arriving in Nassau has typically been processed on Bay Street. Large rigs and trucks moving in and out of the dock area have caused significant disruption to traffic and nearby retail businesses. Relocating Nassau’s commercial port to Arawak Cay will free up over 20 acres of prime waterfront property near bustling Bay Street–a factor which is particularly key to the work of the Downtown Nassau Partnership (DNP). The DNP formed in 2009 to redevelop and revitalize the area to reflect its status as the country’s tourism and retail hub, as well as to promote businesses, enhance The Bahamas’ tourism product and restore downtown’s historic buildings. A key part of the plans, the unused port real estate is expected to attract developers keen to exploit the potential of the site. 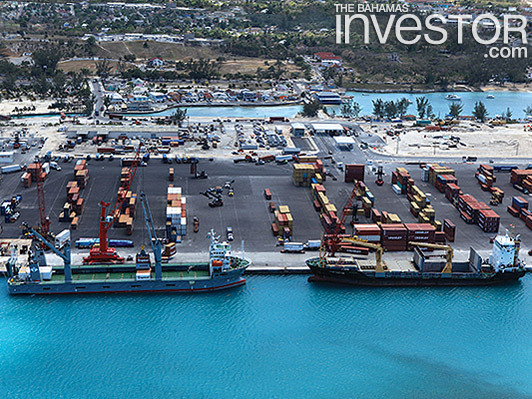 According to APD the container port and freight terminal will not only be able to easily meet current demand, but will also service The Bahamas’ shipping needs for the next 50 years. 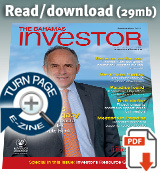 It is expected to particularly enhance The Bahamas’ capability in international shipping. Moving from the six docks along Bay Street to a single point of entry at Arawak Cay will help streamline and consolidate shipping operations and make for a more efficient port, as customs and shipping become available at the one site. In addition, the departments of Agriculture and Fisheries, and Environment Health Services will be represented at the port–enabling processing of a variety of shipments at the same site. When completed, the new port will include three container vessel berths of over 1,167 ft, three container cranes, general cargo, bulk and break bulk operations and entry processing and freight inspection facilities. Hours of operation will be extended to six days a week for container and cargo pickup and delivery. Maura believes that this enhanced capability will help The Bahamas fulfil international regulations, saying: “The consolidation of commercial shipping operations will serve to provide New Providence with a secure port facility, which is required as part of the International Ship and Port Facility Security Code. For years the physical characteristics of the wharves along Bay Street have challenged the terminal operators ability to comply with the code. At the Gladstone Road Freight Terminal carriers and importers will be able to process, distribute or collect imported goods. The 10,000 sq ft administrative building will house customs services alongside a 100,000 sq ft cargo warehouse. With these improvements, the port is expected to provide a welcome boost to the country’s economy, not only in the shipping sector, but also in the construction industry.